Rochelle is an artist and interior stylist living her dream of creating environments--"I’ve always felt a great need to create and design environments—I’ve always been inspired by culture and people. I love for an environment to tell a story. Creating sacred spaces for people is what it's all about, a place that has been curated to reflect clean lines, special pieces, a space that is peaceful yet full of life". Her aesthetic is organic, incorporating vintage, mid-century, and custom original art from local craftspeople and artists. We offer complete and partial staging and interior design with a thoughtful approach specifically tailored to each unique space and its vibe. Each project is professionally curated to include original artwork, accessories, live plant arrangements, and timeless pieces of furniture from Rochelle's collection - all designed to create a fun and welcoming space that showcases each home in its greatest light. Professional Home Stager, Organizer, redesign & de-cluttering. Simply Staged works to maximize the potential of a home. Statistics support that Staging is no longer a option, but a true necessity. 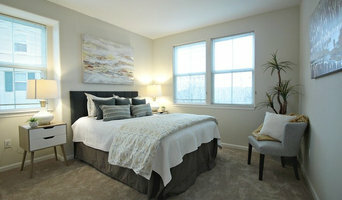 A Staged home photographs better and will draw in potential Home buyers by showcasing the home. Simply Staged understands that selling your home can be stressful and overwhelming. We are here to ease what needs to happen, prepare the home for a great positive 0utcome. The way we live in our home and sell our home are very different. Simply Staged is here to meet your time and budget needs. Simply Staged is passionate about Staging and will be there all the way from start to finish! Attract your targeted buyers with beautifully detailed real estate staging designs. We collaborate with realtors and sellers in preparing a house to sell by identifying the specific wants and needs of the buyers they are targeting. Our staging designs are tailored to showcase the unique selling features these buyers want in their new home. Judy Piper formed DifferentByDesign in 2016 out of her desire to do what she’s always dreamed of - owning her own business doing what she loves! “I enjoyed being a creative problem solver during my many years in the corporate world and have always had a passion for interior design. Now I can help my staging clients by applying the same skill set.” After graduating with honors, Judy earned her Certified Staging Professional (CSP) certification. She was personally trained by Christine Rae, President and founder of CSP International Business Training Academy and the co-author of "Home Staging for Dummies." With a background in marketing rather than interior design, Judy uses marketing principles when designing and planning staging projects: 1) identify the potential buyer; 2) understand what these buyers are looking for; 3) know what the competition’s offering buyers, and 4) recognize the unique selling features of a house. And, she takes pride in creating customized designs to showcase these features. Judy also believes that staging a house is less about decorating and more about ‘strategic packaging’ and clearing away the distractions so that today’s buyers can picture themselves living in their new home. DifferentByDesign is located in Campbell, California and we proudly serve the South Bay Area including Fremont and Morgan Hill. We provide competitive staging quotes and peace of mind to our clients by carrying business liability insurance. By utilizing an on-line platform, our clients have the ability to easily view and approve proposals, sign contracts and conveniently pay invoices with a credit card. Providing a relaxing experience for clients is our number one priority because preparing a house for sale can be a stressful time for realtors and sellers. “Helping sellers make their futures brighter one room at a time” I am here to redesign your space with innovation, compassion and expertise that you will love coming home to. “Turning a house into a dream home” For many people, decorating a whole house can be a daunting task. I am here to help people focus and refine their personal tastes into home décor that expresses their unique style while still having well balanced and functional rooms. At Interiors Awakened, we offer home staging services from consultation to owner occupied, and vacant home staging in San Francisco Bay area. Our mission is to beautifully stage and style your property to help you sell it in short period of time and at a premium price point. We are founded in San Diego company, now based and set up in Milpitas, CA serving the Silicon Valley area. We specialize in home staging and offer a variety of staging-plans and consultation service based on customer needs. We are committed to satisfying customers in every way we can. Our company has a merchandise-rich warehouse to choose from and a vibrant set of content creation ideas to experiment with. This helps us provide exactly the kind of transformation your house needs -- at a competitive price. Give us a call! Welcome to Pink Door Interiors! We are a boutique interior design and staging firm based in Santa Clara California serving the entire San Francisco Bay Area. We work with homeowners, real estate professionals, investors and more. We like to help our clients navigate the complex world of colors, textures, furniture and design to unlock the beauty of their spaces that leave a lasting impression. We pay attention to the smallest of details that gets overlooked by most. Limelight Home Staging works with the homeowner or Realtor by providing a proven plan for getting your property Staged so it can sell quickly and for the most money that the market allows. Limelight Home Staging stages in such a way that a potential buyer's attention is drawn to the positive architectural details of a property while at the same time their eyes are drawn away from any possible negative details of the property. This type of professional expertise is invaluable to our clients as it reduces the risk of price reduction and gives greater opportunity for the property to sell faster. Home Staging for occupied and vacant homes We will bring in everything that is needed to make it look like a model home. Potential buyers will be emotionally invested immediately upon entering your home. We will walk through your home room by room with a buyers eye. Recommendations will be made to show your home to its full potential. 365 Staging is your "Complete Home Staging Solution!" Not only do we stage homes that stand out in the market, we also provide home improvement referrals from trusted sources and free marketing for the property. RealEZPhotoFix, a division of VirtualTourCafe, LLC is the real estate agent's best choice for realistic and cost-effective virtual staging and photo enhancement. Enhance your photos and turn good photos into great photos using our simple overnight process. RealEZPhotoFix was designed for the real estate industry “Real” and “EZ”. Anyone is welcome to use this service, however the focus is on helping you, the real estate agent, property manager, investor, and FSBO to enhance your marketing photos and help you sell your properties faster and easier! Owner and principal designer of an award-winning design and home staging firm, Sara Arlin fused her love and business acumen of 15 years in high-tech to launch Homescape Designs in 2006 upon receiving certification. Her passion, enthusiasm, attention to detail and pure creative talent for innovation design, decorating and remodeling spaces continues to be the driving force propelling this highly sought after company. Homescape Designs is a full-service Design firm specializing in Interior Design, Kitchen & Bath Design, Decorating and Home Staging. If you desire a complete room make-over or have a home remodel project to tackle, then let our professional design team collaborate with you to create a custom masterpiece. Our mission is to bring your vision to life by embracing your requirements and managing the project from concept to strategic implementation. We are experts at creating beautiful and functional Homescapes by incorporating key design principles and composition that best compliments your personal style. Let us help you create that harmonious environment you always dreamed about by making it a reality. We will deliver to your specifications, be there every step of the way and keep your budget on track. Sara has worked on both small and large budget remodeling and new construction projects. She regularly attends the World Furniture Market in Las Vegas to stay current with new products and trends. Let's put creativity to practice and watch the dynamic transformation of what a make-over can do! We beautify spaces for selling and living! We are a boutique home staging and interior design company based in Mountain View/Sunnyvale. Innovae Designs serves homeowners and home sellers throughout Silicon Valley. My team provides specialized home staging services including property preparation guidance, occupied home staging (live-in sellers), vignette (i.e. accessories-only) staging in the South Bay and Peninsula areas. We specialize in occupied home staging helping sellers prepare and present homes using their existing furniture and enhancing with our stylish art and accessories. We also provide early property preparation guidance including painting, curb appeal, guidance on furniture and items to pack vs keep, de-cluttering guidance, and small handywork suggestions that will result in a luxury feel the highest possible selling price. Jennifer's 25 years experience In Real Estate Sales obtaining multiple achievement awards through the course of her career went back to her roots in interior design. With one of the highest certification available approved by RESA (Real Estate Staging Association) Jennifer became a specialist successfully creating emotional focal points for buyers to attach to the home while minimizing less desirable areas of the home. Her proven success has helped homeowners and Realtors sell their homes at higher prices ahead of their competition. Her mission statement - help Realtors and homeowners alleviate price reductions by providing excellent customer service in preparing their home to sell for top dollar. You have several packages to choose from $. 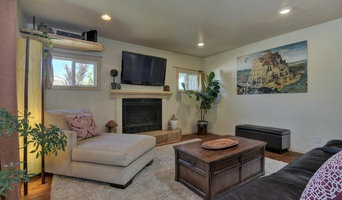 What does an Aptos home stager do? 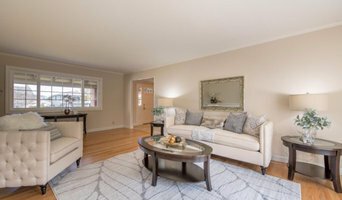 Home staging companies in Aptos, CA employ a variety of different techniques to present the home in the best light possible. The first step will likely be to make sure the home is impeccably clean, including the exterior of the house. Next the home stager will work on removing the personal touches that are unique to the current owners. Paint colors might go from dramatic reds and purples to neutral tones like beige and taupe, in order to appeal to the masses. The home will likely be cleared of family photos, risqué artwork, collections and knickknacks, so potential buyers will be able to better envision their own life in the house. In some cases furniture will be swapped out, and you might not even recognize your own house. Some Aptos home stagers tackle most of these tasks themselves, while others work with subcontractors and other professionals to get the job done. Here are some related professionals and vendors to complement the work of home stagers: Interior Designers & Decorators, Photographers, Real Estate Agents. The process of staging a home can be difficult for some homeowners, especially when being asked to change things you’ve poured your heart and soul into over the years; but try not to take anything personally, as the stager only has your best interest in mind and no intention of insulting your personal taste. 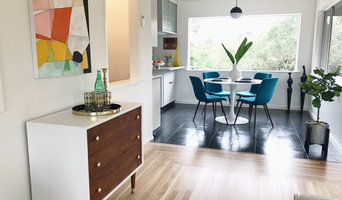 Before you contact a professional home staging company in Aptos, CA, make sure to consider a few things: Are you willing to change your home and take the advice of this professional to help sell your house? Do you think your house would greatly benefit from the help of a stager? How long are you comfortable having your home on the market? A staged home is likely to sell faster and, on occasion, at a higher asking price than a non-staged home. While there is no guarantee this will always be the case, it’s often true and can make the entire selling and moving process a lot less stressful in the long run. If you are selling through a real estate agent, it’s a good idea to get their opinion on whether staging your home would be beneficial to your specific situation. Find a certified Aptos home stager on Houzz. Narrow your search in the Professionals section of the website to Aptos, CA home stagers. You can also look through Aptos, CA photos by style to find a room you like, then contact the professional who staged it.